IMT Ghaziabad takes pleasure in inviting you to register, contribute papers and participate at the third International Conference Facets of Business Excellence – Think out of Box: Digital Technology for Strategic Advantage (FOBE-2018). FOBE 2018 is organized to bring together creative academic and industrial experts in the field of Business Administration to discuss, exchange views and experiences on thinking beyond the box to help today’s business organizations to exceed their goals and expectations while pursuing their full growth and earning potential. 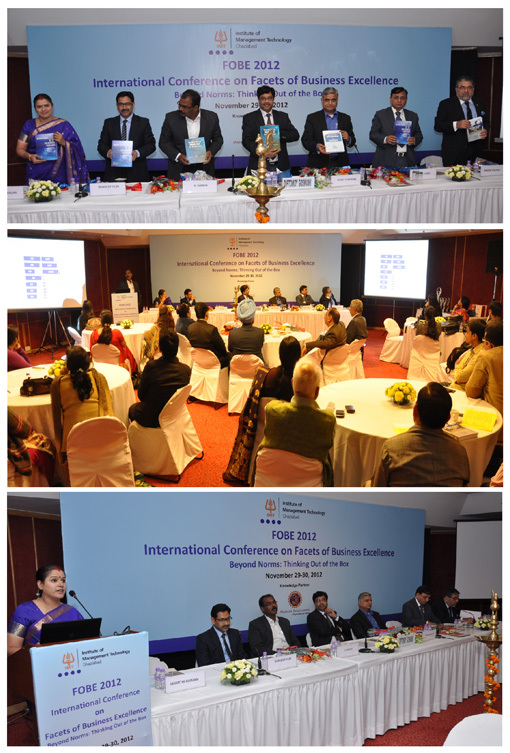 IMT Ghaziabad in association with the Essex Business School, UK successfully organised an International Conference on “Facets of Business Excellence”, FOBE 2011 at India Habitat Centre, New Delhi. 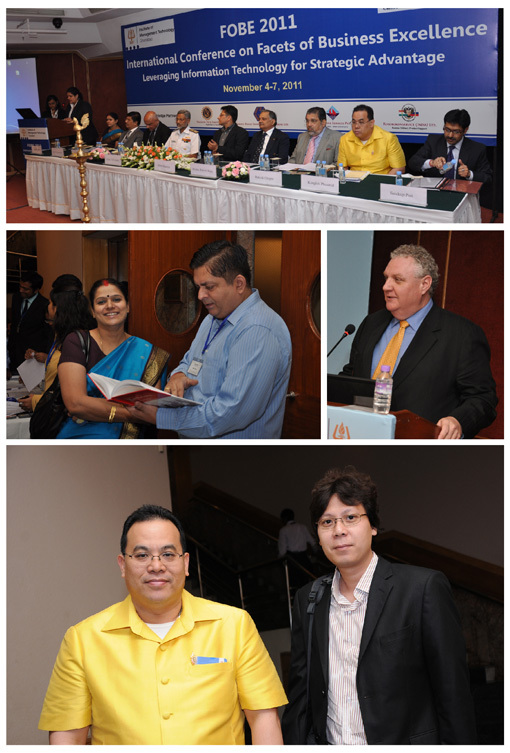 FOBE 2012 was also organised in New Delhi at IHC. The objectives of the first and second edition of FOBE Conference was to focus on ‘Leveraging IT and beyond the usual Norms’. The response to the Conferences were very good. Overall, the ‘call for papers’ attracted in the region of 280 abstracts from both India and abroad. Of these, 140 were selected and the delegates who authored the papers presented them at the Conference in three nominated tracks, i.e. Strategy, Marketing & IT. In addition, around 40 international delegates from around the world also attended the Conference to present the papers which were of a very high standard. Considering the feedback received from the participants, the Conferences were a grand success. The scope envisaged and objectives set for FOBE 2011, 2012 were all achieved. The Conference has become a pace setter for other conference in this genre. This Conference would challenge presenters who would like to participate to ‘Think out of Box: Digital Technology for Strategic Advantage”. The aspiration is to promote management information exchange in new areas beyond existing boxes, and to explore research opportunities and developmental performance in thinking beyond the box strategies in the business world using digital technologies. IMT Ghaziabad once again takes great pleasure in inviting you to register, contribute papers and participate in the third edition of the International Conference on “Facets of Business Excellence – Think out of Box: Digital Technology for Strategic Advantage (FOBE- 2018). Original papers for the below-mentioned areas of interest are invited. The areas mentioned below are only indicative and not exhaustive in coverage. The contributor can include any other topic falling under the broad gamut of the main theme of Business Excellence. All papers will be evaluated through a double-blind review process constituted by drawing experts from Institutions/ Universities/ Organizations of repute in and outside India. Only original, unpublished work is sought. Any proposal submitted to present identical or substantially similar work already published, under review for another conference or publication will not be considered. In the covering letter accompanying the manuscript, the contributors should certify that the manuscript has neither been published anywhere nor is it at present being considered anywhere for publication. The delegates are requested to send the extended abstracts of their papers not exceeding 300 words, 12-point font size, Times New Roman font on MS Word/PDF with single line spacing to the Conference Chairs along with the name and address of the author(s), Contact No. & active E-mail IDs latest by August 30th, 2018. The blind review expert committee will screen the papers. Full length paper should not be more than 3000 words (Maximum 10 pages). Tables,illustrations, charts, figures etc. should be serially numbered and duly acknowledged. Sources of the data need to be given below each table. Only those references that are actually utilized should be included in the reference list and should be alphabetically arranged. For complete paper guidelines visit www.imt.edu/FOBE2018. The first page of the manuscript should have the title of the paper, name of the author(s), organization affiliation, complete mailing address, phone number, fax number (if any) and e-mail address. Please do not indicate author(s) name, affiliation or any other such information in the manuscript elsewhere. One soft copy of the paper in the abovementioned format should be submitted online at www.imt/edu/fobe2018. The conference shall be organized in sessions. Each session shall be chaired by an expert from an educational institute/industry. Presentation by authors: 15 minutes. Discussion replies to questions by authors: 15 minutes. LCD Projector/OHP/LAPTOPS will be provided for presentation. All participants are requested to register by filling the online registration form. One author must get registered for inclusion of the paper in proceedings book publication. A single author presenting multiple entries should register for each paper. No TA/DA will be paid to any delegate who presents the paper in the conference. All Wire transfers shall be made in favor of Institute of Management Technology, Ghaziabad, India. The registration as noted above is net of all bank charges. The name of both the “Remitter” and the person on whose behalf the remittance has been made must be furnished to the bank from where remittance is being made. Forms for online payment are available at www.imt.edu/fobe2018. Registration fees should be sent by Bank Demand Draft in favor of “Institute of Management Technology”. The DD should be payable at Ghaziabad or New Delhi. All accepted papers shall be published in the proceedings of the conference (proceedings from Emerald Publishers) and the book will be released at the time of inauguration of the conference. A copy of the book will be provided free to all the registered participants. Select papers will appear in the following journals as special issues. Dr Renato Pereira, ISCTE Business School, Portugal. Dr Bhumika Gupta, Telecom Ecole de Management, France. Dr Vandana Sharma BIT Noida. Dr Archana Singh, Amity University. Dr Prashant Gupta IIM Trichy. Dr Sujeet Sharma, Sultan Qaboos University, Oman. Dr Easwar Krishna Iyer, Great Lakes Institute of Management. 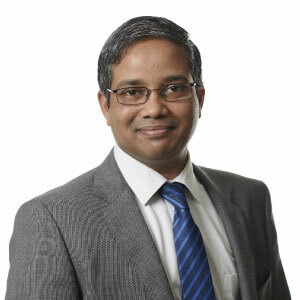 Ravi Vatrapu is a professor of computational social science at the Department of Digitalization, Copenhagen Business School; professor of applied computing at the Kristiania University College; and director of the Centre for Business Data Analytics (http://bda.cbs.dk). Prof. Vatrapu’s current research focus is on big social data analytics to design, develop and evaluate a new holistic approach to computational social science, Social Set Analytics (SSA). SSA consists of a generative framework for the philosophy of computational social science, a theory of social data, conceptual and formal models of social data, and an analytical framework for combining big social data with organizational and societal datasets for generating meaningful facts, actionable insights, valuable insights, and sustainable impacts.Prof. Vatrapu holds a Doctor of Philosophy (PhD) in Communication and Information Sciences from the University of Hawaii at Manoa (USA), a Graduate Certificate in International Cultural Studies from East-West Centre (USA), a Master of Science (M.Sc) in Computer Science and Applications from Virginia Tech (USA), and a Bachelor of Technology in Computer Science and Systems Engineering from Andhra University (India). Ghaziabad is a part of India’s national capital region (NCR). The best way to reach Ghaziabad is via New Delhi. The town is located at a distance of 45 KMs from Indira Gandhi International Airport, New Delhi and 30 KMs from New Delhi railway station. It is well served via road, railway & metro. New Delhi is well connected through rail and air to all corners of India. The nearest metro rail station to the campus is called Vaishali & is at a distance of 10 KMs i.e. 6.2 Miles. IMT can arrange for airport pickup on request. Prepaid taxis like Ola/Uber can also be availed from the airport/railway station to Ghaziabad. IMT extends assistance to arrange accommodation guest house/hotel in Delhi and at Ghaziabad nearby to IMT campus at the expense of participants. Limited accommodation for authors on twin sharing basis at INR 2000 per person per night is available at IMT campus on first come first served basis. Rated among the top 10 business schools in India by various ranking domains. 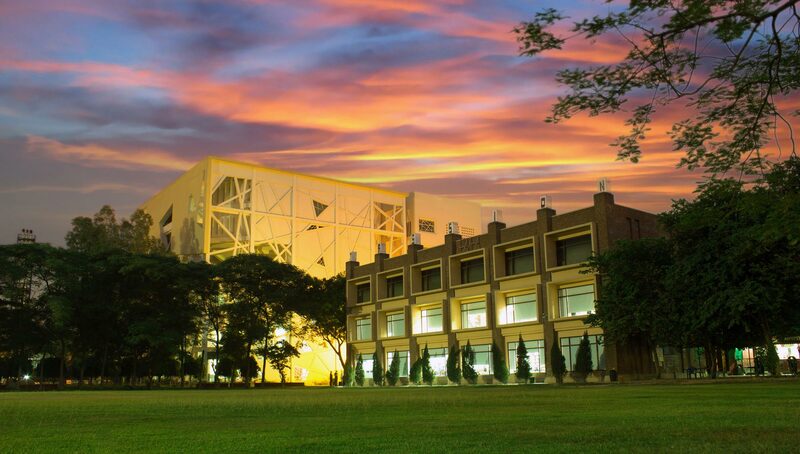 One of the top Indian schools to be accredited by AACSB. SAQS accredited School. Widely recognized as a centre of excellence in management education. IMT G offers two-year full-time MBA, one-year executive MBA and part- time MBA program and Doctoral programs (DBA), Very innovative alternate week-end AACSB accredited PGDM program; Modular Leadership Programs. Post Graduate certificate programs in all domains. 14 innovative domain specializations. Media & Entertainment domain provides new way of management thinking. Entrepreneurial Immersions and Course based visits to international Top Schools. SSR – Social Sustainability and Responsibility- Compulsory course for students. Won many awards nationally and internationally. OBP – Organizational Based Projects- Compulsory Course for Students to learn administration. Faculty Development programs, industry specific collaborations, GMAC associations. More open approach for innovative ideas. State of the art infrastructure. Wi-Fi enabled Campus, 24 hours’ library, Completely residential and fully self-sufficient campus; 9800 + Alumni, Strong Executive Training Cell. 100% placements, 35 active student clubs, 72-hour non-stop sports- event.